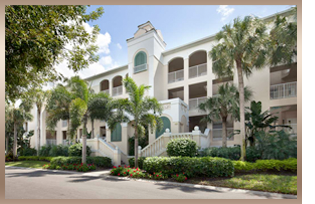 Condos For Sale in Pelican Bay Naples Fl. Condos in Pelican Bay are for those who want to experience maintenance-free living in a community surrounded with first class amenities and the clam pass preserve and wildlife habitat. You can choose from one of the high rise condominium projects along the Pelican Bay Preserve, which many units also over look the Gulf of Mexico. There are Pelican Bay homes that are along the fairways of the Club Pelican Bay golf course and others that overlook the fresh water lakes and lush landscaping. Pelican Bay condos for sale vary in square footage size, quality, location and pricing. There is a condominium to fit any ones criteria and price range. L’Ambiance is a gated condo community located at the northern portion of Pelican Bay and is comprised of low rise units. Residential units in L’Ambiance range from 1390 to 2000 square feet of living area and were completed in 1996. Floor plans vary with two to three bedrooms and den combinations. The low rise condo community of St. Thomas is located at the southern central part of Pelican Bay and is accessed from Pelican Bay Boulevard. It was completed in 1988 and offers unique floor plans that consist of two to three bedrooms. Units range from 1450 to 1800 square feet of living area. St. Thomas offers covered parking areas and a large swimming pool. For discrete and professional service, please call me to schedule a private viewing of any one of these Pelican Bay condo listings. If you would like for me to do all of the research for you, please call me with your search criteria and I will email you all of the listings that you should be considering, and that specifically match your lifestyle requirements. 239-963-6590.